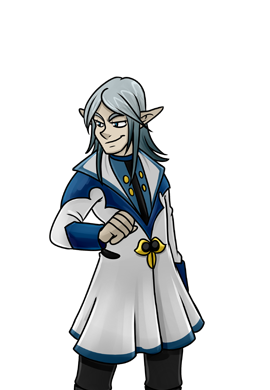 Quiset first appeared in Lyn Azveltara Gaiden. A animal researcher and successful erotica writer, Quiset is a member of the Azveltara family and joined Lyn Azveltara in climbing the Tower of Ultimate Wizardry. Quiset was last see resting on Floor 41 in the Tower of Ultimate Wizardry.